The book of Acts can read like Paul’s travel log. He logs a lot of miles, surely earning platinum status as a frequent flyer, were he in the air and not on foot. The question this should bring forward for you and I is this. How are these journey’s scripture to us? What does it mean to read stories about where God sends Paul? [i] Surely, God is carrying Paul throughout these adventures and Paul is paying attention. Are we? The “Acts” of the Apostles are first God’s acts. In them we hear about remarkable people who are never remarked about again. Niger, Lucius and Manaen. It gives us a sense of the people who the Spirit had gathered. And even as God commissions Paul and Barnabas to the work they’re called to do, the community lays hands on them (not just as ritual) but as a way of participating in what God is up to. And then the story shifts. When Paul SEES the man who “could not use his feet and had never walked” he sees that the man has the faith to be healed. God is already at work in him and that is what Paul responds to when he says “Stand upright on your feet.” The man doesn’t stop to consider it. He isn’t freaked out by it. He simply and immediately springs up and begins to walk! Is it possible that the man who could not walk, could not walk because he had never USED his feet. It seems he was “on the verge” perhaps sentencing himself to sitting UNTIL a brother in Christ sees him fully and calls him upright. The way this is written strikes my imagination. Does it yours? Have you ever been on the verge of something? You were ready but for whatever reason hadn’t yet acted until someone called you upright. Are you on the verge now? That’s how I ended up in the seminary. I’d always said that when I grow up I wanted to be a minister and yet I hadn’t enrolled. Things kept getting in the way. Mostly I kept getting in the way until a friend said, “You know Robyn, you’re getting older. You either need to stop telling us you’re going to seminary or you need to go.” I sprang up and applied and here we are! Someone else who has been “on the verge” his entire life is Olympic athlete Bruce Jenner. 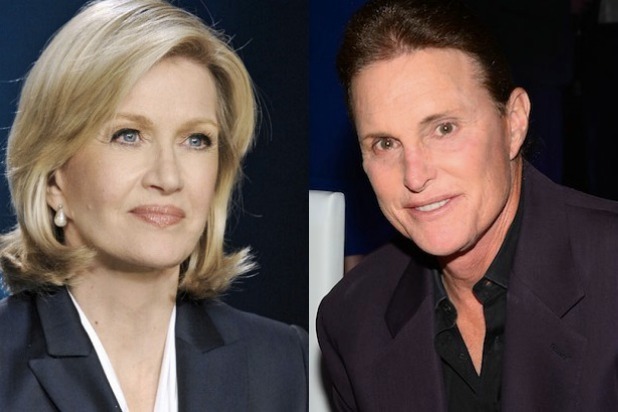 In an interview with Diane Sawyer that aired on Friday, Bruce, tells the world, that he has always understood himself to be female, so far living his 65 years on the verge of emerging. Until–finally the realization sets in that he cannot spend another moment not becoming who God has already created her to be. What are you on the verge of? Greatness? A new understanding of who God has made you to be? Perhaps, better health or renewed sobriety? Or a better relationship with a friend or loved one? Maybe there’s a relationship you need to release? Truth is sometimes we get side tracked and sometimes we are in need of a full out healing. Just what is that good news? That they don’t have to worship clay statues of fake Gods. There’s a living God who knows the best you and who loves you–a God of extravagant love and ready justice. Turn to THAT one true God. The living God is present in this holy place and present in each of you. God is working in you and in your lives. We have stood up and as a missional congregation we’ve met our neighbors where God was already moving. And we will continue to become, as individuals and as a congregation, whatever it is that God imagines for our lives–loved, restored, called and made new. Amen.